You will fall off the mountain! You are dying, losing control, and about to be physically or mentally damaged beyond repair! Your unwanted thought means disaster! Your memory will be intolerable if you allow yourself to observe it! Fear being attacked by a dog, so bring a person with you to the park who you believe can protect you—or simply wear a full suit of armor! You now falsely feel that your avoidance and safety behaviors kept you safe and therefore you’d better keep doing them…or else! You remain stuck in the phobic cycle! Face your triggers without safety behaviors repeatedly until you learn that it is okay and that you can handle it. However, even though this is easy to understand, doing it is not easy—it is challenging! When your brain mistakenly thinks you are in danger, it will try every trick in the book to keep you stuck in the phobic cycle. 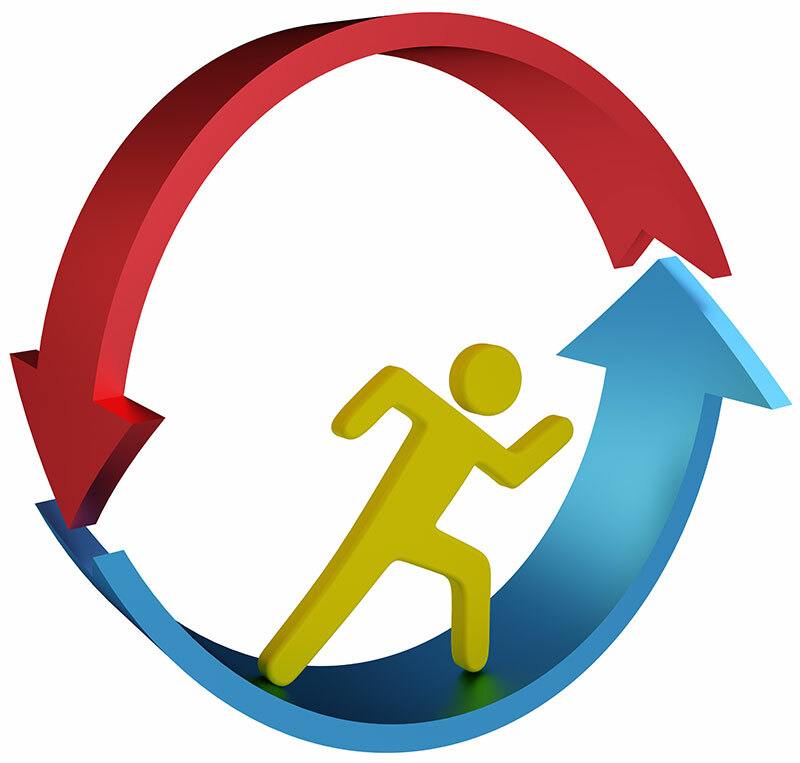 Click here to learn about ways your brain tricks you into staying stuck in this cycle.